Which tool should you use for your robotic application? In many ways, the tool (aka end effector) is the most important part of your robotic setup. It’s the “business end” of the robot, the part that actually performs the task. People spend ages discussing the benefits of different robot models when they should really be deciding which end effector is best for them. There are many, many, many end effectors to choose from. Hundreds, if not thousands. This is great because it means that you can pick the tool which is best suited to your task. However, there’s a problem. Because there are so many end effectors, it’s almost impossible to find one which works with your robot out-of-the-box. To use any tool, you will need to integrate it yourself with the robot’s programming. Offline programming is a perfect solution to improve the performance of your robot cell. It saves you time, which in turn saves money. But, it is sometimes tricky to use end effectors with the offline programming software provided by your robot’s manufacturer. You would have to be very lucky to find an offline programming software which includes your tool by default. It’s much more likely that you will have to create the end effector model yourself. RoboDK solves this by making it easy to create new end effectors. Very easy! (see the end of this article for some details on how to make your own end effector). The Robot Library also comes stocked with a range of end effectors, which suit the needs of many of our users. Although there are many types of end effector on the market, some are more popular than others. 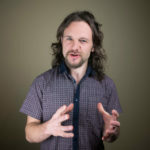 Here are the top 10 tools which people use in RoboDK, along with details of which ones are included in the Robot Library at the time of writing. By far the most popular robot tools are fingered grippers. These usually have 2 or 3 fingers and are used to grasp objects and/or other tools. The Robot library includes a generic two-fingered gripper, plus the Robotiq 2F-85 and 2F-140 grippers. Vacuum grippers pick up objects using pneumatics, rather than fingers. This makes them suitable for grasping delicate objects because they do not apply squeezing forces. You can find a generic vacuum gripper in the Conveyor Simulation demo which comes provided with RoboDK. 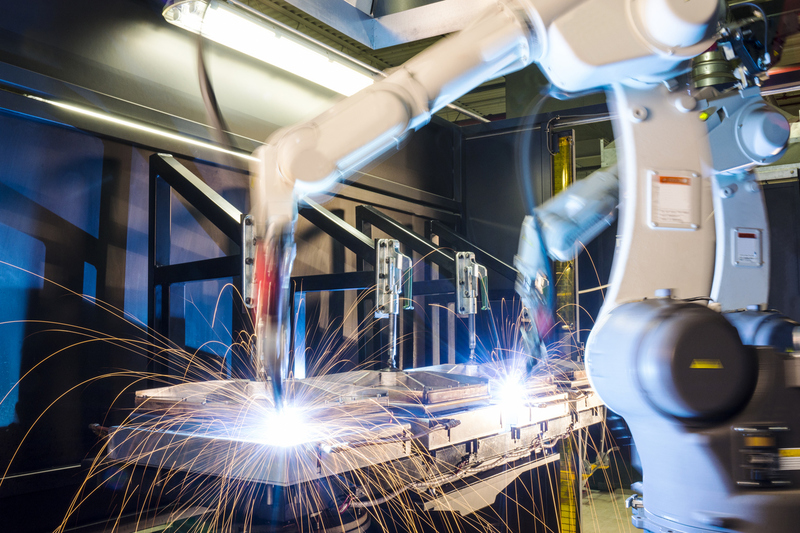 Welding is an increasingly popular task for robots, as we discussed in our previous article The Simple Way to Flawless Robot Welding. There are different types of welding guns, including single-electrode arc welding guns, and double-electrode spot welding guns. The Robot Library includes a generic weld gun and a Daihen FD B4. You can also see spot welding in action on our examples page. 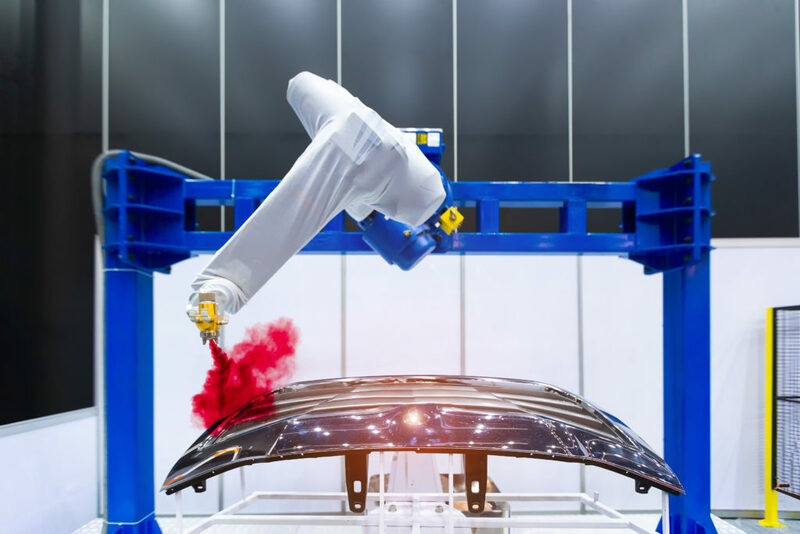 Robot painting is one of the classic applications in industrial automation. Think of the robots which spray paint car chassis. 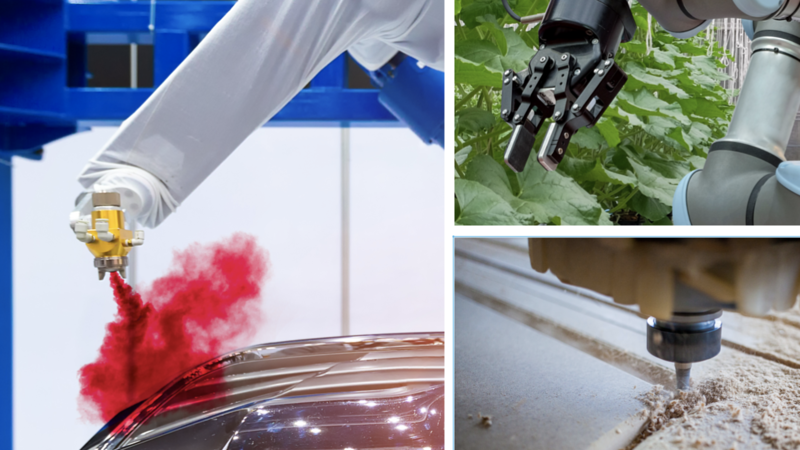 The Robot Library includes a generic paint gun, which could also be used in place of some inspection probes. 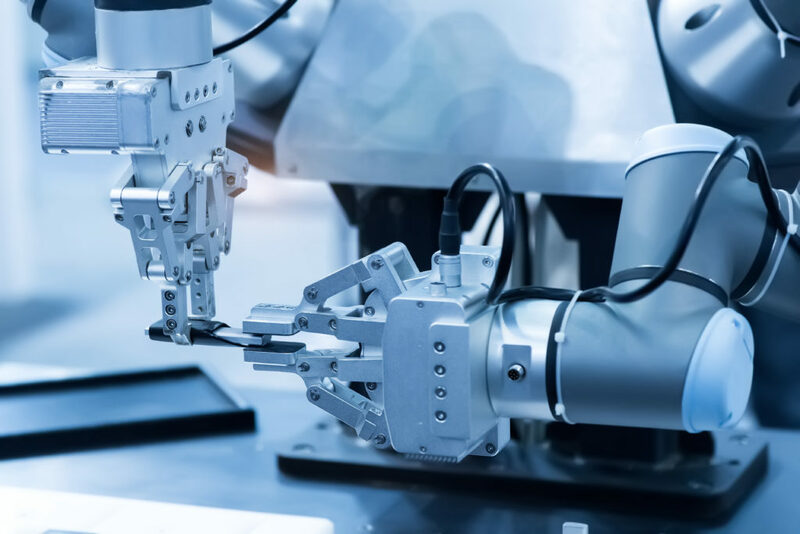 A pencil is perhaps an unusual tool in industrial robots, but it’s definitely popular for hobby and consumer applications. 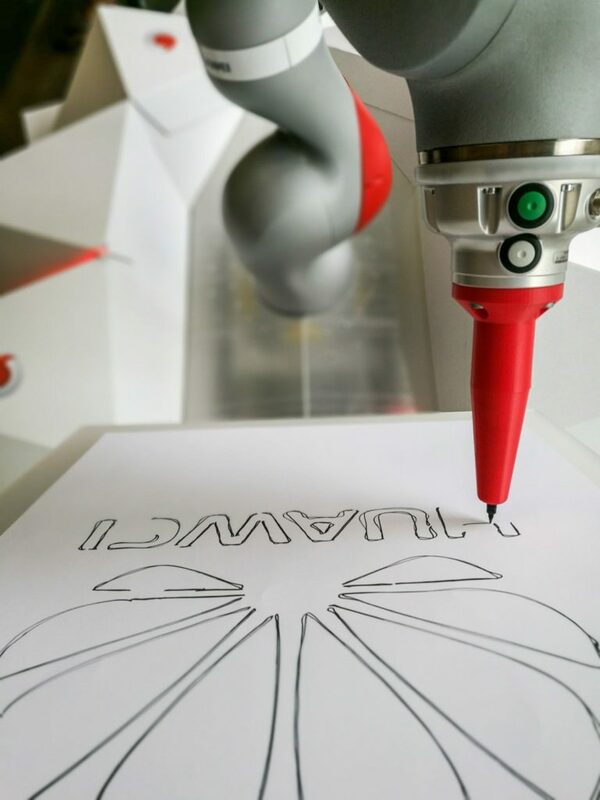 Robot art is a fun application which really grabs people’s attention — as the RoboDK programmed KUKA did in Munich Town Center. We have two pencils in the Robot Library: one generic and one which is held by a two-fingered gripper. You could probably use these for incremental forming too, as the tool shape is quite similar. 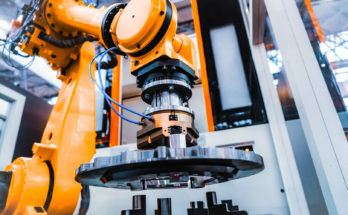 We’ve been talking a lot about robotic machining over the past few months, and with good reason — it removes some of the most difficult problems of traditional industrial machining. If you want to use robotic machining, you’ll need a machining spindle! This attaches the machining bit to the end of the robot arm. The Robot Library includes a Spintech spindle and a Teknomotor C3140C. Many of the tasks in robotic assembly can be achieved with a simple gripper. However, tightening nuts and bolts is tricky. Nutrunners allow you to accurately tighten bolts to a specific torque. The Robot Library includes an Atlas Copco electric nutrunner. An extruder allows you to 3D print materials. A common method is to melt plastic in the heated extruder and feed it onto the printing bed. 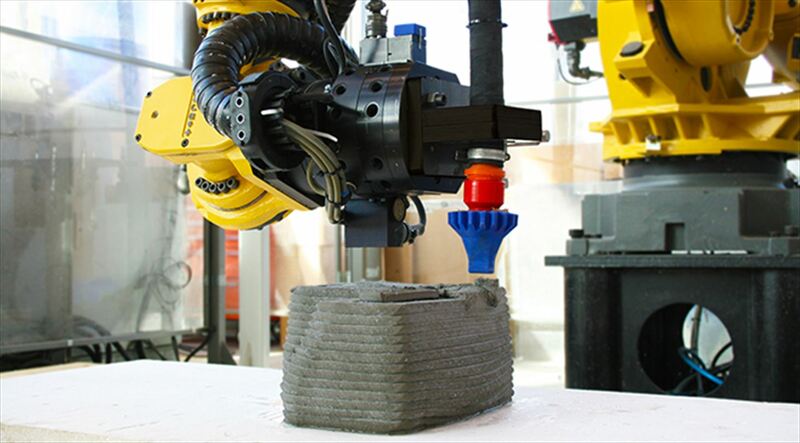 Our users have used RoboDK’s dedicated 3D printing wizard to print a wide range of materials, from concrete to food. The Robot Library includes a generic extruder. Accurate calibration is the key to success with offline programming, as we explained in the article Is Offline Programming Really Accurate? 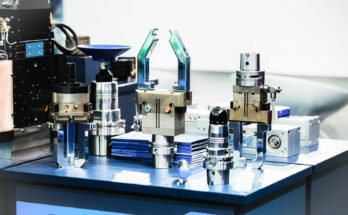 One method involves following a calibration tool with a tracking sensor. The Robot Library includes a generic calibration tool as well as two API laser trackers, a Creaform C-Track, and a FARO laser tracker. You don’t need to limit yourself to the tools listed in this article. RoboDK allows you to quickly and easily create your own tool to use in your offline program. 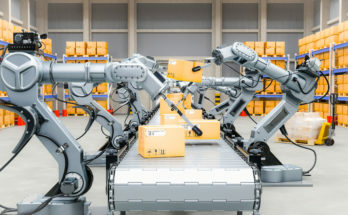 Create an “Empty Tool” — For most robot applications, you only ever need to know the position and orientation of the tool’s tip. The empty tool creates a reference frame and attaches it to the robot wrist. The tool is “invisible” but it serves its purpose. Load your own CAD file — If you want a visual model of the tool, you just have to load a 3D model of it into the software as a CAD file (e.g. STL, STEP). 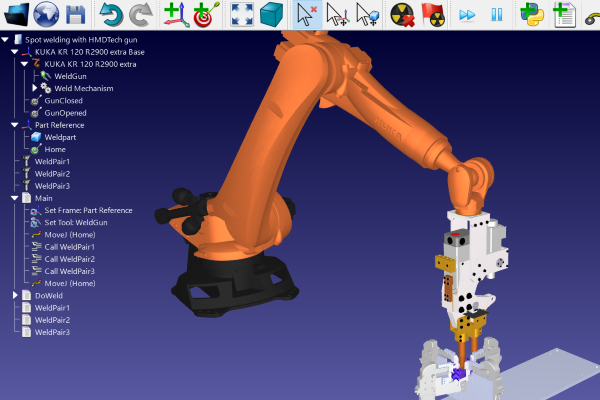 Attach the model to the robot and RoboDK will automatically turn it into a tool — though you will probably have to adjust the tool’s reference frame to align it properly. It really is that easy to make your own tool with offline programming! It even works with a completely custom-built end effector. What end effectors do you use with your robot? Tell us in the comments below or join the discussion on LinkedIn, Twitter, Facebook, Instagram or in the RoboDK Forum.